प्रसुत लेख भी "श्री संहिता" की पौराणिक गाथा की महत्वपूर्ण कडी है। जिसका सम्बन्ध समुद्र मन्थन से है। जब देवताओं ने दानवों का साथ मिलकर सागर का मन्थन किया उस महाप्रयास से उन्हें चौदह रत्न प्राप्त हुये जिन में लक्ष्मी और विष भी थे। देवताओं ने तेरह रत्नों पर अपना अधिकार जताया, परन्तु विष के भारे में दोनों पक्ष परेशान थे की इस ज़हरीली वस्तु का क्या होगा।किसे यह ग्रहण करना पडेगा। किसी को यह विष अपने गले उतारना ही था।किसे यह ग्रहण करना पडेगा----? 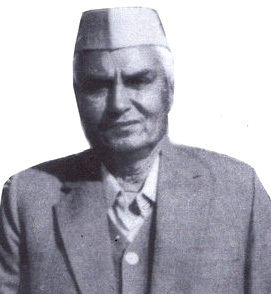 *Pandit J. N. Siboo (1919--2001), served as a senior teacher. Later, promoted as Head Deptt of Sanskrit & Hindi,Govrnment Oriental College,Srinagar. Authored "Jyestha Pradurbhava" in Sanskrit with Hindi translation. He authored a series on Kashmir Shaivism, published in MADHYMA-PATRIKA Hindi Journal. Before migration to Mumbai, he was associated with the Shri Roopa Bhavani Sharda Peeth Research institute, where he completed the Kashmir Shakta Vimarsha. He would also write for Hindi Section of Koshur Samachar. He has written on the Bijaksharas of the Shakti tradition of Kashmir. He was awarded the Central Hindi Directorate Award, under Ministry of Human Resources, for Kashmir Shakta Vimarsha.